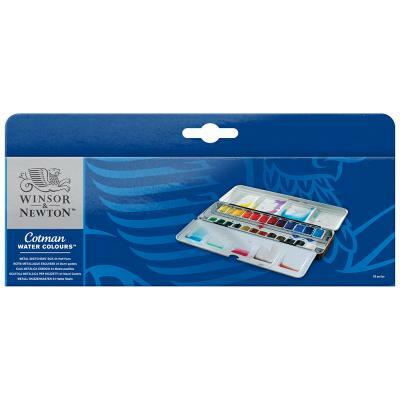 Cotman Watercolours have been specially developed for the watercolourist who requires transparant watercolours at a uniform and economical price. Cotman Watercolours possess good transparancy, with excellent tinting strength and working properties. Includes white integral palette, thumb ring, and 24 Cotman half pans.